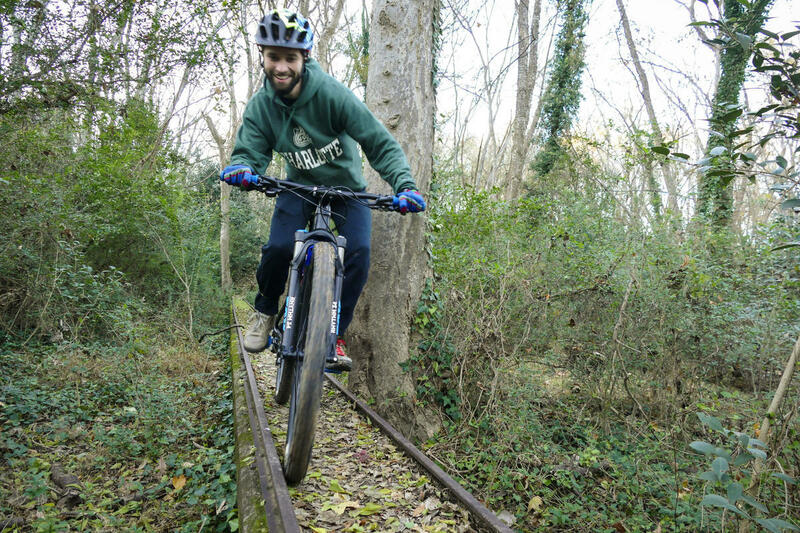 The trail has several cool features, including a number of jump lines, log rides, sudden drop-offs and in one special patch of woods, a series of unusually narrow train tracks arranged in a grid pattern. Riders practice their balance by peddling in between the narrow gauge rails, careful not to fall over. The rusted-up tracks are much older than the rest of the trail and they have a funny name. A sign affixed to a nearby tree reads, "poo tracks." That had Chappy wondering, what's their story? Scott Hubbs, left, alongside friend Doug Cosby. Hubbs is one of the founding fathers of the Backyard Trails. 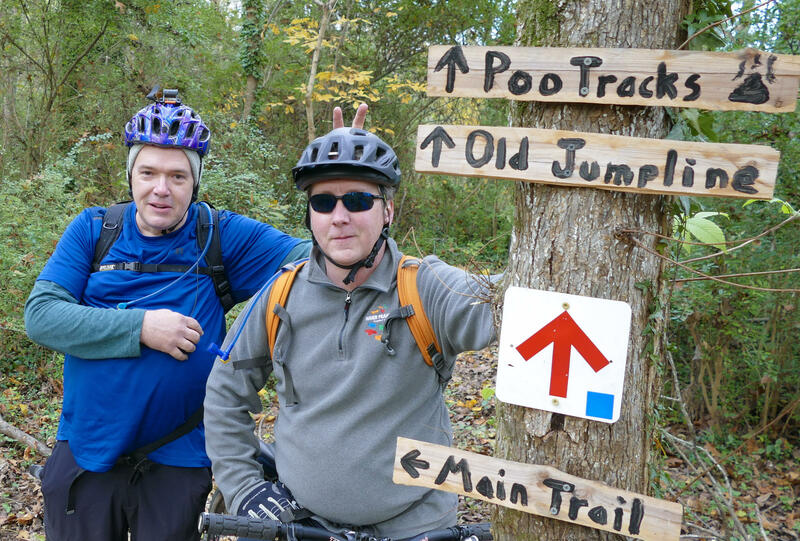 On this episode of FAQ City, we'll meet up with Scott Hubs, one of the founding fathers of the Backyard Trails, who says the story of the "poo tracks" actually takes us through the history of how Charlotte dealt with its sewage. We'll learn how the "poo tracks" helped Charlotte manage human waste going all the way in the 1920s and we'll talk with Jennifer Frost with Charlotte Water, who hints at the possibility of another set of "poo tracks" existing elsewhere in the city. Special thanks to Scott Hubbs, Doug Cosby, Jennifer Frost and the Tarheel Trailblazers for help with this episode. 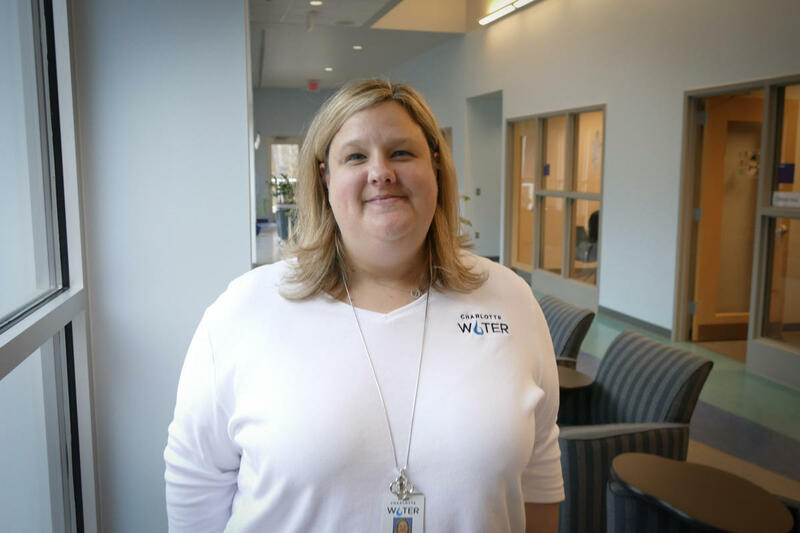 Jennifer Frost is a public affairs manager for Charlotte Water. If you want to check out the "poo tracks" in person, fair warning — the Backyard Trails are not designed for beginner mountain bikers. The Tarheel Trailblazers has lots of other trails you can start on first. Check those out at tarheeltrailblazers.com. Do you have a question about Charlotte you'd like FAQ City to look into? We're asking curious listeners to send in their questions about Charlotte's people, places, or history for upcoming episodes. Send us your question in the box below, and we may be touch! FAQ City: What Happened To Charlotte's Earle Village? Few Charlotteans may remember Earle Village, the public housing community built in First Ward just outside uptown. It was a bustling community that stretched from 6th street to 10th street, roughly bordered by Myers Street and Caldwell Street. It was the place where 400 of the city's poorest families resided — until the village was condemned to demolition in the 1990s.